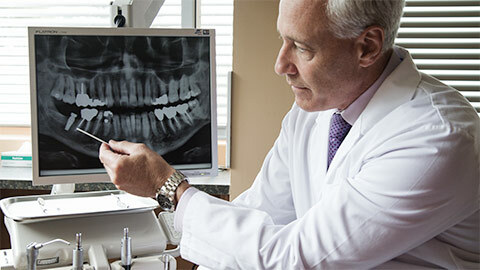 At Kipling Queensway Mall Dental, we understand how difficult it can be to live with missing teeth. It can not only be a nuisance but it can cause serious health complications and depending on the amount of missing teeth, can even cause bone breakdown. If you neglect to replace a missing tooth, the surrounding teeth might try to fill the gap by shifting around. Along with being problematic for chewing and eating, this shifting could change the whole profile of your face. That’s why we’re pleased to provide dental implants in Etobicoke. Dental implants are the optimal, permanent solution to tooth loss. A dental implant consists of a titanium screw and a cap or crown. The titanium screw is fitted into you jawbone as an artificial substitute for the root of your natural tooth. 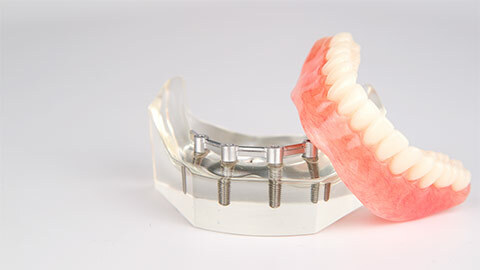 Then a crown is attached to the implant, giving you the look and feel of a natural tooth. If you're interested in learning more about dental implants and if you would be a candidate, call Kipling Queensway Mall Dental today!